MOBI WallMate and AnimaLamp Review and Giveaway + 50% Off Coupon! Like most kids his age, Jake is a little apprehensive about the dark. Well, maybe more than a little. He’s not outright terrified like I was as a child (okay, who am I kidding, I slept with a nightlight until I was in my 20s! ), but he can’t go to sleep without some sort of light. Since he’s just too cool for words, of course any old nightlight just won’t do. I wanted him to have a light that actually made him excited to go to bed. I aimed a little too high, no kid is ever excited to go to bed. 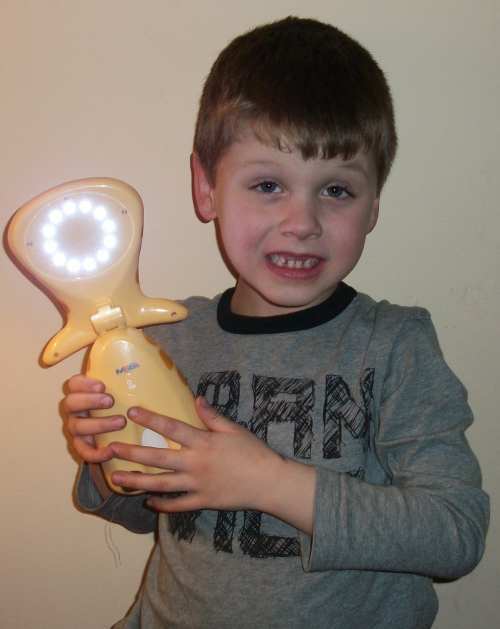 I did, however, find that the Mobi WallMate definitely made bedtime go a little smoother, and the AnimaLamp has become his go-to source of light for everything from reading to stumbling out of bed in the middle of the night to use the bathroom. The Mobi WallMate is definitely one of the coolest nightlights I’ve ever seen. I’m a little jealous, actually, because I never had anything like it as a kid. We received the monkey WallMate for review, but it also comes as a hippo or elephant. The WallMate plugs into the wall and can be set to turn on automatically as soon as the lights go off. Turn the lights on, and the nightlight also automatically turns itself off. The LED light can be set to green, blue, red, or rainbow. You can pick it up for $9.99. To use the light, just lift the animal’s head and run your finger lightly along the “on/off” switch. Yes, this is Jake’s “just take your pictures and let me get back to playing, already!” face. When fully opened, the light is bright enough to read by. If you need something a little dimmer, just close the head slightly. Pushing the head all the way back down produces more of a nightlight effect. See? Very versatile! Both the WallMate and the AnimaLamp use safe LED technology, so they don’t give off any heat. If you’ve ever burned yourself on a nightlight (hey, I have! ), you’ll definitely appreciate this feature! 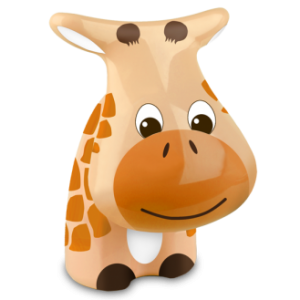 The AnimaLamp is available as a Giraffe, Monkey, or Bunny. It’s also perfect for nurseries, especially for late-night feedings or diaper changes. It retails for $24.95. The generous folks at MOBI have a great deal for all my readers. Purchase a WallMate and AnimaLamp together on the Mobi website, drop down the “Products Menu” to “Tykelights,” choose one of each, then use COUPON CODE# PO321, and you’ll get 50% off the combo! You’ll get both for $17.47 + shipping! Believe me, that’s an awesome deal for these great lights. This offer is limited to the first 500 customers, and expires on April 4th, 2012. One of my readers will take home his or her choice of WallMate and AnimaLamp. To enter, just use the Rafflecopter form below. Giveaway ends April 4th, 2012 at 11:59PM and is open to US residents age 18+. Winner will be notified via email and has 48 hours to respond. i would love the anilamp! 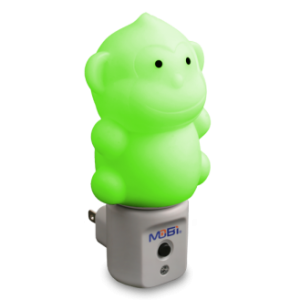 i really want a mobi baby monitor.. and the monkey is super cute! I also like the Star Girl headphonies speaker! I would probably pick the pink bunny AnimaLamp for my daughter. I love the elephant 🙂 Thanks for hosting! I like the GloMate or the bunny. 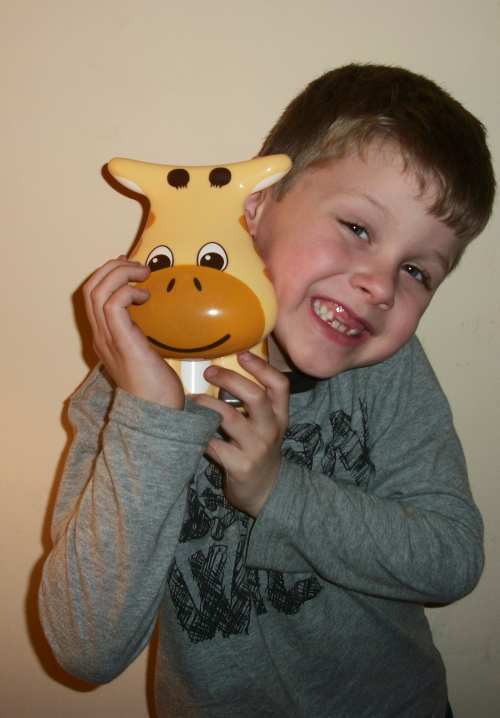 I love the AnimaLamp Giraffe & WallMate Elephant! My son says he’d want the monkey! I like the AnimaLamp – Monkey. I would choose the Giraffe Animalamp. I also like the Hello Kitty Mobi Rechargeable MP3 Speakers. I would choose the AnimaLamp – Monkey. We would definitely choose the monkey! I like the giraffe and the monkey. The bunny is pretty darn cute also! My grandson would love the monkey. I love the Temp Tub Bath Hippo. I would choose the Monkey AnimaLamp…my son is a monkey fanatic! 🙂 Thank you. I’d get the giraffe one!! I like the monkey wallmate. I’d choose the hippo wallmate. Thanks! If I won I would love to choose the Bunny Animalamp. My daughter would love it. I would choose the Animalamp in Bunny and WallMate in Monkey!